If you intend to copy your Blu-ray DVD collection onto HDD for use with WD TV media player (e.g. WD TV Live), you may need a program that would be able to copy and backup your whole DVD movies. 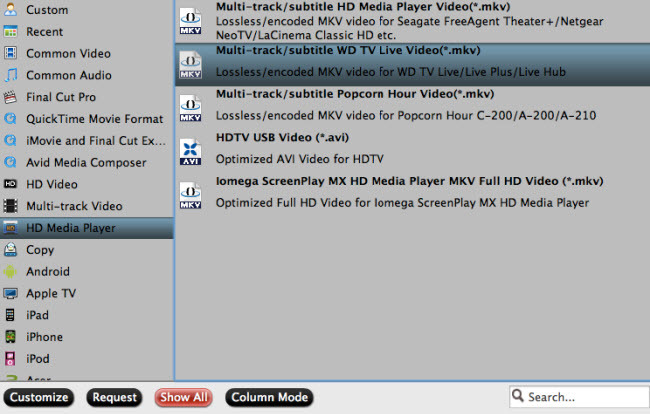 Personally, I use Pavtube ByteCopy to rip my favorite DVDs and Blu-rays (like Batman) to MKV. The features that I like on this software is that when convert to MKV you can have AC3 audio codec 5.1 channel, unlike others (imtoo converter) I have recently purchased which only let’s you selected AAC codec 6 channel. The problem was it never works on widely available 5.1 receiver. This was not only the issue, the converted file was out of sync with audio. I tried Pavtube ByteCopy for Mac and it works wonders. I like the preview function and the ability to shut down the computer after conversion. The one off purchase price and the ability to download the software onto new computers (as many times that I would like) that I will own in the future, also was a consideration point. In this post, I would like to share the process of converting Blu-rays/DVDs to multi-track MKV copies in full detail (I run it on Mac OS X 10.9 Mavericks). Before we start you can download a free trial version to see if it would be able to satisfy your needs. Step 1. Load Blu-ray/DVD to ByteCopy for Mac. First of all, insert your Blu-ray/DVD to Blu-ray drive and keep networked. 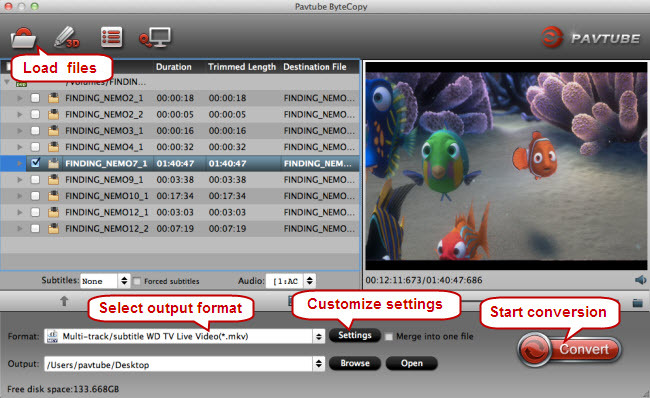 Open up Pavtube ByteCopy for Mac application, click “Load file(s)” button to import your source Blu-ray or DVD movie. This step is optional. If you want to save all the original subtitles streams and audio tracks in your Blu-ray/DVD into the output MKV file, you can skip this step. But if you only need your wanted tracks and want to remove undesired ones, you can click “Settings” button to customize audio and subtitles settings. 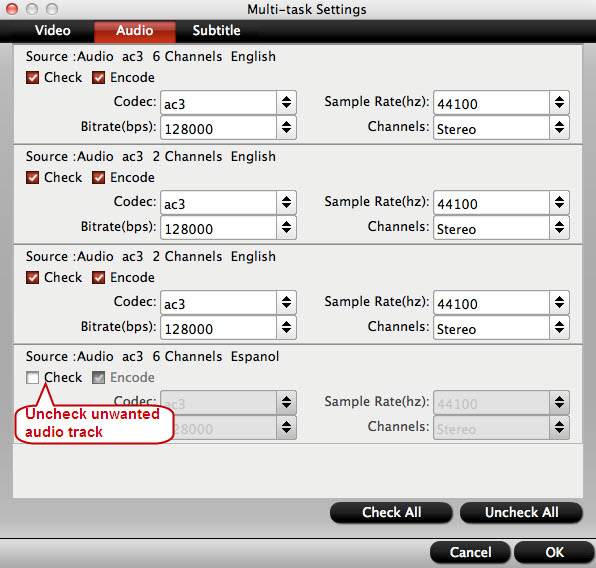 To remove unwanted audio tracks, switch to “Audio” tab, and simply uncheck the tracks that you want to eliminate. By default, Pavtube ByteCopy uses ac3 codec to encode audios. But it also allows you to change the audio codec between ac3 and aac depending on your final use. Switch to “Subtitle” tab and deselect one or more subtitles streams you don’t need so that they will not be shown in the created MKV file. 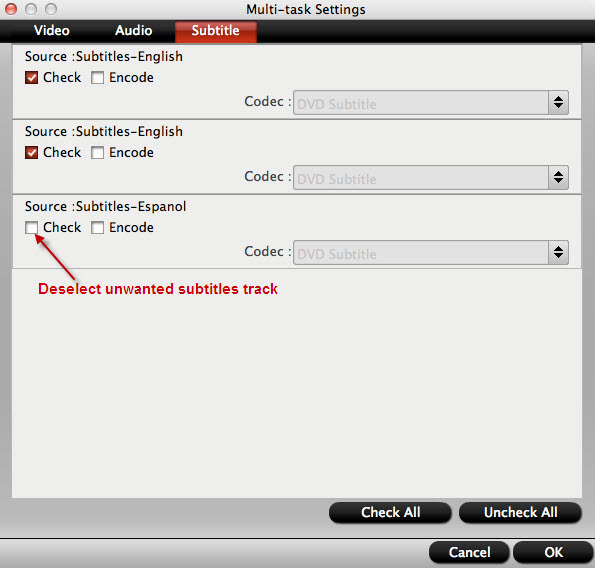 Note: Most HD media players do not have native support for Blu-ray PGS subtitles, so don’t forget to tick off “Encode” to transcode pgs subs to dvdsub for well display. Now you are ready to click “Convert” button to start the conversion process. As I said in the beginning, the ByteCopy software features a “Shut down computer after conversion” option. You can check this option and go way to do other things instead of waiting in front of your computer. The created MKV files can be found out via click “Open” button as soon as the conversion finished. My experience with the MKV files I have created with ByteCopy is that they play fine off the hard drive attached to the WDTV, and not well if streamed via my wired network. Streaming wirelessly is even worse. So, I stick with playing them off the hard drive. Well, that’s all for the entire conversion process, hope this helps.